The known treatment options for Cancer are Surgery, Chemotherapy and Radiotherapy. These treatment options are just not expensive but even ineffective at times. However, a recent study has shown the effect of Vitamin C in high doses in combination with the standard treatment shows positive outcome on the health of cancer patients! 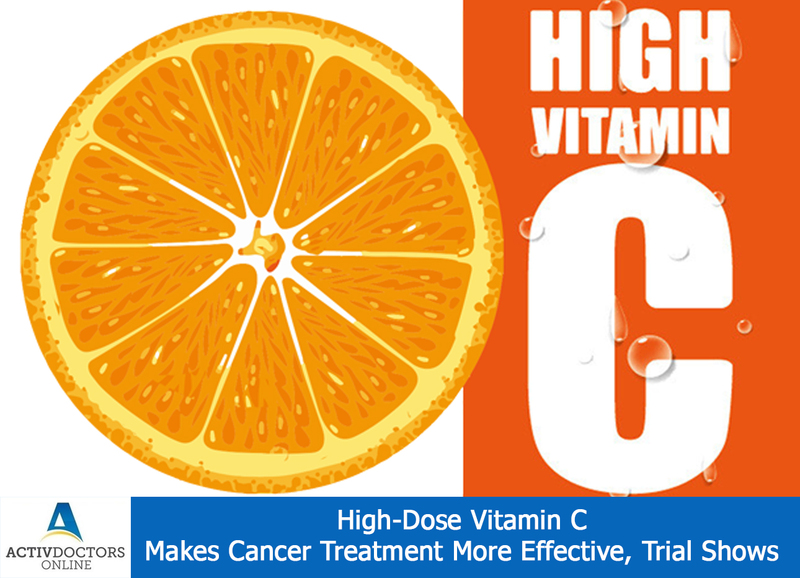 A study was conducted in late 19 the century and hypothesized the clinical benefits of a high dose of Vitamin C on cancer patients. Vitamin C is known to prevent and treat cancer! A study was conducted again recently to reconfirm the effect of Vitamin C. It was shown that people who received a combination of standard treatment with Vitamin C showed a slower progression of the disease, rest suggested that the side effects of chemotherapy were less pronounced! In order to obtain a higher dose of Vitamin C, it was given an intravenous route and the dose was repeated at regular planned intervals as Vitamin C has a very low half-life of about 2 hours! Vitamin C weakens or slows down the progression of the disease by – Faulty metabolism occurs inside the cancer cells’ mitochondria, thus the cells produce high levels of redox-active iron molecules. These molecules react with intravenously administered Vitamin C and form hydrogen peroxide and hydrogen peroxide derived free radicals. These free radicals drive cancer cell death. Thus the cancer growth is halted and benefits patients!! Studies are still in progress to understand what best can be done to benefit cancer patients!